Like any other major surgery, Total Knee Replacement Surgery too has its share of complications What is more important is that the incidence of these complications is very minimal in the hands of a Specialist Knee Surgeon. The common Complications include Infection, Deep Vein Thrombosis, Pulmonary Embolism & Fat Embolism. Other complications are Skin healing problems, Stitch abscess, Allergy to metal parts, and Early loosening. According to international literature, the risk of infection in Total Knee Replacement surgery is currently reported as being about 0.5%. To prevent the infection, special precautions are taken During Total Knee Replacement Surgery. 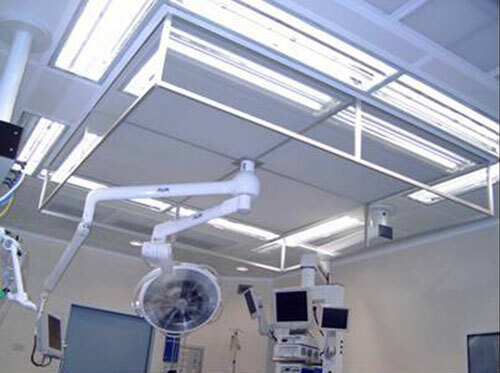 Since bacteria can enter the open wound at the time of the surgery in a regular operating room, Dr. Amyn Rajani only operates in operation theatres equipped with Laminar Air Flow Systems. Laminar Air Flow Systems are special air-conditioning systems in which special filters provide clean air, free from most bacteria. In addition to this, Knee Specialist in Mumbai, Dr. Amyn Rajani and his assistants wear sterile space suits. The suit encloses the entire head and body, and includes a sterile face mask. These space suits are also called body exhaust mechanisms as they prevent fogging of the sterile mask with an in built battery operating system so as to keep the vision of the surgeon clear from fog as well as prevent direct contact to the surgical field. These specialized gowns and drapes do not get soaked with the sterile fluids used during the surgery or blood; hence this prevents a nidus of infection. Antibiotics: A combination of antibiotics is given to the patient before, during and till 48 hours after the operation. This further helps to lower the rate of infection. The risk of infection in the weeks after the operation is increased if you have rheumatoid arthritis or diabetes, if you have been taking cortisone for prolonged periods of time, if the affected joint has had previous infection, or if you have infection anywhere else in your body "(teeth,bladder, etc) at the time of surgery. The artificial joint can become infected many years after the operation. The bacteria travel through the blood stream from a source elsewhere in the body", such as from an infected wound, or a gallbladder infection. Even regular dental work can release bacteria into the blood. Infections of the bladder, teeth, prostate, kidneys, etc. should be cleared up by appropriate treatment well before the day of surgery. Patients who have had joint replacements must take antibiotics by mouth before and after any dental work and must have all infections vigorously treated. 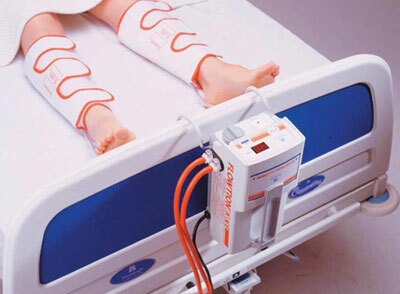 Deep Vein Thrombosis the most common complication of Total Knee Replacement surgery. As long as the clots remain in the legs they are a relatively minor problem. Additionally, compressive calf pumps are used and leg exercises are encouraged from the day of the surgery to prevent blood clots. Apart from this, according to international literature Dr. Amyn Rajani gives a prophylaxis dose of low molecular weight heparin a day prior to surgery. Blood clots can occur despite all these precautions. They are usually not dangerous if appropriately treated, but may delay your discharge from the hospital for two or three days. 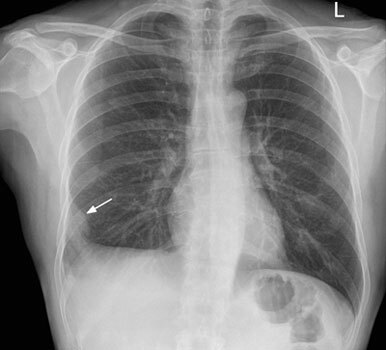 Occasionally, the clots dislodge and travel through the heart to the lungs (Pulmonary Embolism). This is a potentially serious problem, since (very rarely) death can result from embolism. The chances of this are one out of several hundred. The internist will prescribe coumadin (warfarin), heparin or lovenox (blood thinning drugs) to help prevent clots from forming After Total Knee Replacement Surgery. On opening the femoral canal, fat from the bone marrow can get into the circulation and cause lung or neurological symptoms. This is a very rare complication. It is easily prevented by washing out all the fat from the canal before putting the femoral jig in it. It is also prevented in computer navigated surgery as the femoral canal need not be opened at all. Sometimes bleeding can occur into the wound several days after surgery (“hematoma formation”) as a result of the use of blood thinners. If it is excessive, it may require re-opening the wound under anesthesia to let the blood out. This can occasionally be a problem After Total Knee Replacement Surgery. The skin wound over the Knee sometimes does not heal completely. Parts of the skin may die after the surgery. This is a major complication which occurs very rarely. Every precaution is taken to prevent it. This is a common and permanent issue. Over a period of time this numbness may decrease with the use of . Occasionally the Kneecap does not track properly causing it to "jump" as the Knee bends. The chance of this occurring is less than 1%. The plastic part on the patella can wear through. These problems sometimes need reoperation for correction. Experience of your surgeon: Choose a surgeon who has had a great deal of expertise with Total Knee Replacement, and preferably one who restricts his practice to Knee surgery. The quality of your bones: Osteoporosis & rheumatoid arthritis have specially soft bones. This softness of bones can be detrimental to bonding of the implant with the bone. How active you are: Excessive load on the implant can cause the bond to loosen. Activities such as running and heavy lifting should be avoided. Your weight: You should also keep your weight under check because every pound you gain adds three pounds to the force to the Knee. The design of the implant: Small abrasion particles from the implant may play a role in implant loosening. Some designs shed more particles than others. This is a remote but a serious complication. The major arteries of the leg lie just behind the Knee Joint. Arterial injury can usually be repaired by a vascular surgeon. If not, one could even lose the leg. The chance of this occurring is next to negligible. You should notify Dr. Amyn Rajani if you believe you have a metal allergy. Metal allergies are rare and the tests are not completely reliable, so they are only performed if a metal allergy is suspected. Allergy to the plastic parts has never been reported. Some patients have reported allergy to nickel and hence specially designed implant without nickel component can be manufactured on order.